The General Executive Council, Resurrection Power and Living Bread Ministries International (REPLIB) has elevated Bishop Akwasi Asare Bediako, the General Overseer of REPLIB, to the office of an Archbishop. The solemn ceremony which registered dignitaries including; Bishops across the various branches of the Church; was officiated by The Most Reverend Dr Samuel Richard Addae, President of International Council of Churches and Ministers of Great Britain. 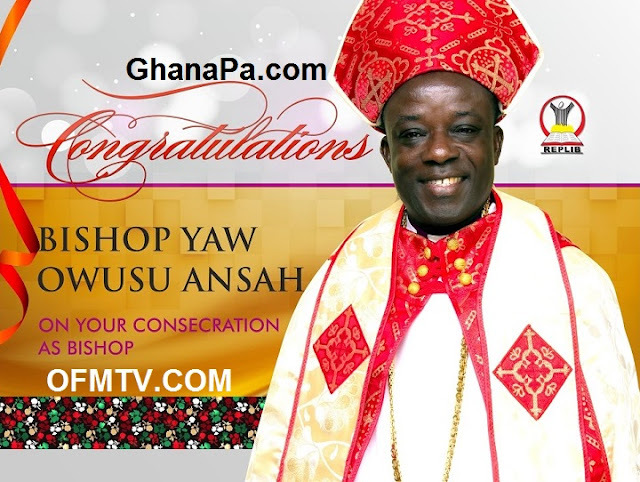 Archbishop Akwasi Asare Bediako, is the second born of 10 children and was born in April, 1959 in Kumasi to Mr Joseph Kofi Asuman and Maame Adwoa Tawiaa. Archbishop’s greatest attribute, which is an asset to himself and the Body of Christ – is his meekness. He is patiently humble with both the young and old which sometimes is misconstrued as weakness and taken for granted by some people. He is keen to influence future generations to be more vigilant for Christ in this end time hence meeting guides, teaching and impacting his gifting and knowledge into the youth and recognising them as future leaders. He has been in the ministry for 30 years and is married to Stella and blessed with five children. In an interview with the Ghana News Agency, Bishop Yaw Owusu Ansah, the Greater Accra Regional Overseer, REPLIB said Archbishop Asare Bediako had championed the course, after succeeding the late Francis Amoako, founder of the Church. He noted that the Archbishop had established numerous branches of the Church across the globe and had also been able to raise some of his pastors who had been with him for more than 20 years. He explained that after serving faithfully they had been raised to the level of Bishops and Apostles and in that regard there was the need for God to elevate Bishop Asare Bediako to another level. 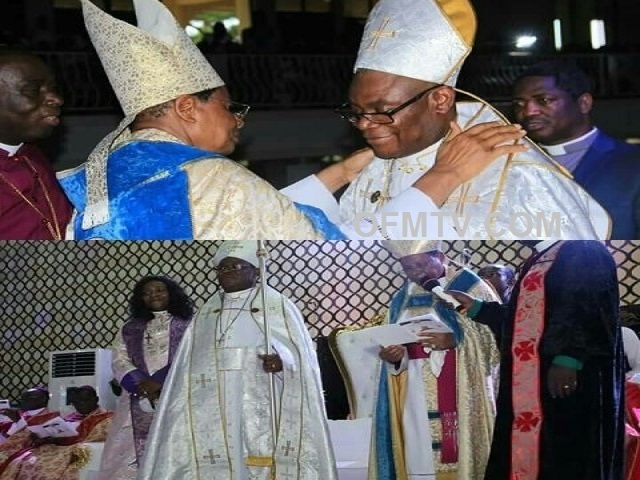 Rev Owusu Ansah noted that, Archbishop Asare Bediako could not have lifted himself up, so the senior men in the field such as Archbishop Addae, who is also the Presiding Archbishop of Shiloh International, stood in for the British organisation as a commander-in-chief. He said the vision of the Archbishop Asare Bediako and the entire Church was to continue propagating the gospel as well as admonish people to where God wanted them to be. Rev Owusu Ansah noted that in the near future, he would launch a charitable foundation, purposed to engage the minds, support the needs and facilitate the holistic health and wellbeing of the aged community. He said Archbishop Asare Bediako’s vision was to establish a university for the Church, complete an ongoing project aimed at honouring his successor. He said under the leadership of Archbishop Asare Bediako, the Church had already established a Bible College. He said most importantly, Archbishop Asare Bediako was very passionate about winning souls and raising people up from a negative background, to make sure that God used such people to his glory and described the Archbishop as a songwriter, teacher, and a man, who was always in a prophetic mood.